With nearby airports, frequent bus service, and reliable roads, it’s easy to get to Bar Harbor and Acadia National Park. 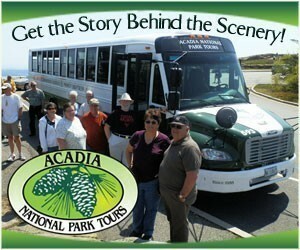 Within the park visitors can drive between scenic destinations or take the free Island Explorer bus. The shortest route to Bar Harbor from the south takes I-95 N to exit 182A in Bangor US-1A. Take I-395 E a short distance to its end; then pick up US-1A to Ellsworth. From there follow ME-3 E to Bar Harbor. 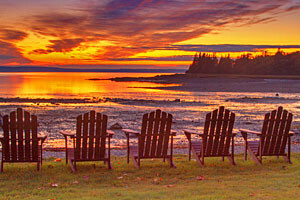 A longer and more scenic route to Ellsworth follows the coast on US-1 N.
Hancock County-Bar Harbor Airport (BHB) is in Trenton, just 10 miles from Bar Harbor. Cape Air operates year-round flights while PenAir operates seasonally. 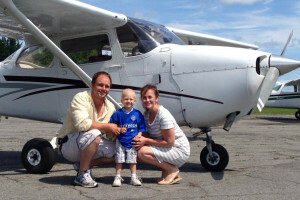 Bangor International Airport (BGR) is 50 miles from Bar Harbor. Allegiant, Delta, and US Airways offer direct daily flights to several cities from BGR. More than a dozen airlines serve Portland International Jetport (PWM), which is 175 miles from Bar Harbor. Boston Logan International Airport (BOS) is 280 miles from Bar Harbor. More than 40 airlines fly nonstop to over 100 domestic and international destinations. All the airports listed about have car rental services. 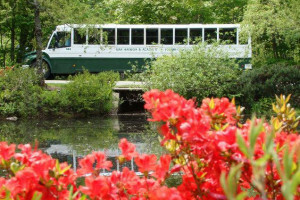 From the end of June until Columbus Day the Island Explorer provides free bus service between Hancock County-Bar Harbor Airport and several locations on Mount Desert Island, including destinations in Acadia National Park. The Island Explorer takes bicycles. 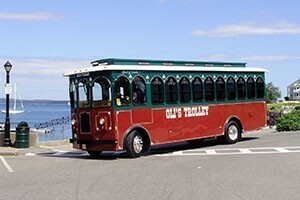 Downeast Transportation operates a round trip bus between Bangor and Bar Harbor on Mondays and Fridays only. 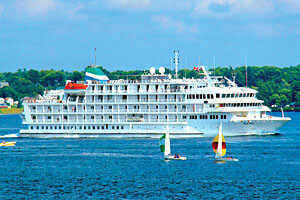 The Bar Harbor-Bangor Shuttle offers several trips a day between Bangor and Bar Harbor; advances reservations are required. Greyhound and Concord Coach buses run year-round bus service between Boston Logan Airport/Boston South Station, Portland, and Bangor. Taxis and the local BAT Community Connector bus link the two Bangor bus terminals and the airport. The Amtrak Downeaster train operates five daily round trips between Boston North Station and Portland. Two local ferry companies offer transportation between Bar Harbor (Mount Desert Island) and Winter Harbor (Schoodic Peninusla).